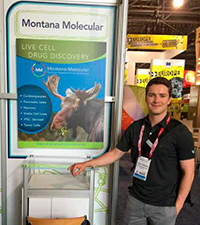 Montana Molecular develops genetically encoded fluorescent biosensors and probes for cell-based assays and live cell imaging. Our products are used for drug discovery and to observe and measure cell signaling processes. Our scientific team is focused on creating breakthrough innovations that empower both basic research scientists and drug discovery teams. The company is committed to building a sustainable biotech industry in the state of Montana, providing good jobs in a safe and healthy environment. Montana Molecular is growing. We have openings for scientific staff with a desire to bring cutting edge fluorescence technology to the market place. 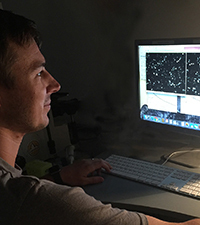 This will involve working with a team to combine experience in molecular biology, live cell imaging and fluorescence microscopy to create new tools for discovery. The people who work here are passionate about science and dedicated to building the next generation of biosensors for drug discovery and cell biology. We do more than just work. 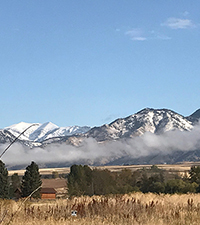 We are located in beautiful Bozeman Montana, a world class destination for skiing, fly fishing, river rafting, climbing, mountain running, and more. Montana Molecular is a short bike or bus ride to Montana State University. Our company is based on the belief that success depends upon finding the important balance between health, science, and the every day joy of life. We offer an excellent compensation package and invite qualified individuals to submit a cover letter and resume.